There are major and powerful trends occurring today in alternative education toward self-instruction, homeschooling, truth, love, and wisdom. People want to be able to apply advanced knowledge skills in their everyday real situations, whether religious, political, organizational, the workplace, etc., in ways that enhance everyone's lives. Paradis Publications provides resources to meet the needs of the people as a consequence of these growing trends. We are leaders in demonstrating how powerful processes can be used to produce new knowledge that can be readily applied to solve complex problems facing humanity in the world today and that will take us forward to a new, more hopeful, more just future. Check out our books and publications (many of them free) for all ages here and on our twin website, www.joekincheloe.us where the philosphy behind our work is presented in great depth and detail. This book is for everyone who loves music. 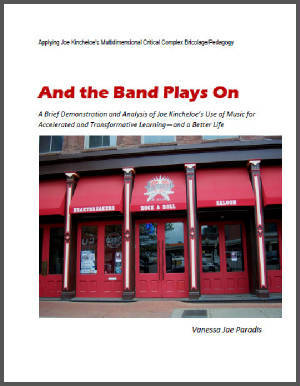 It is also for people interested in a new way of learning that incorporates music in engaging, creative, and transformative ways to enhance and accelerate learning. Teachers, parents, students, college professors, researchers, scientists, and musicians will find this book of interest. Included in the book is introductory information for students and researchers who want to learn Kincheloe's advanced and rigorous qualitative research process, the multidimensional critical complex bricolage. It is not your ordinary bricolage and it takes research and writing to a whole new level. The process can be applied within all disciplines. Of interest to scientists and researchers is the introduction to Kincheloe's critical science of complexity and how he has synthesized enactive, chaos, complexity, and other theories. Photograph left: The Gift of Red Roses in a Yellow Rosebush from Eros in 2011. 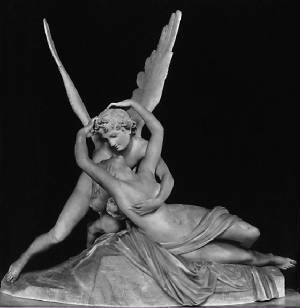 For more information read the Eros and Psyche Blogs and watch for The Magic Roses in their new series.